Some parents think that preschool reading starts when kids first go to school. The truth is, though, that early literacy skills start developing from the time a child is born. Fostering literacy skills in children is easier than it seems. Much of the speaking and learning that surrounds early literacy is intuitive for parents and experienced educators. Nonetheless, making sure that we are building the early reading foundations consciously is key. What can schools do to promote early literacy skills? Exposing children to books and all of the conversations that surround them is an important ingredient in preschool reading. Simply talking to children with rich vocabulary, and asking them questions about their surroundings helps them develop these skills. Teachers should be reading to their students every day. That includes asking them questions about what is happening in the book, what they think will happen, and how they feel about the characters. Literacy isn’t just about hearing the story, it also means thinking about what is happening and understanding what is being read. Which classroom activities promote early reading? There are tons of things preschool teachers can do to help teach pre-reading skills. Letter and sound recognition are extremely important to teach in preschool. There are many different fun games and sensory activities that can help preschoolers learn to identify letters and associate them with their sounds. These can include art projects, formal games and activity centers. Even your preschool rug can be used as an opportunity to teach letters. How should the preschool classroom be set up for early reading? There should be plenty of bookshelves around the classroom where children can pick out books to read on their own. They might also like an activity center that allows them to listen to books on tape independently and follow along on their own. Reading centers provide comfy sitting areas, where kids just love to curl up with a good book. If you make the reading corner exciting, kids will choose to go there and work on their early literacy skills independently. The more you do to promote early literacy skills in your preschool classroom, the better prepared your students will be for the future. 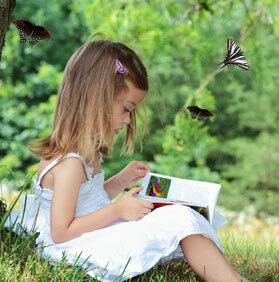 By making reading fun from the beginning, you will be encouraging children to become lifelong readers.